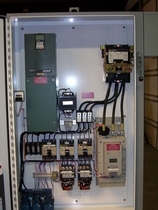 Kuchar Electric designs and builds electrical distribution systems. With over 250 custom built power and control facilities over the past 15 years we pride ourselves on having the right solution required for each application. 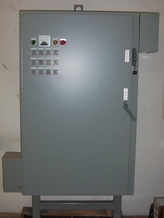 The demand for quality installations prompted us to develop a switchgear manufacturing facility as well and today we market the full line of power and control solutions nationally. 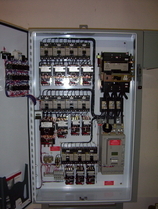 Kuchar Electric has a complete design department with computer aided design for documentation and accuracy. Our experience in the maintenance and service field has facilitated a sound, top quality product with standard features, automation and application design that are proven to work in the most rugged mining environments as well as frigid polar installations and drop in ready control centers than can be used anywhere in the world. Call us today and see how Kuchar Electric can help with your power and control needs.